Dr. Neil is the Associate Professor in School of Science & Technology. 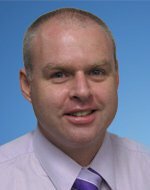 Neil is convenor for the new degrees of exercise and sport science and exercise physiology at UNE. Neil is keen to see the degrees develop a reputation for quality and also provide strong career outcomes for graduates. Neil hopes the local community will both support and benefit from the sport and exercise events and research activities that will occur now the degree programs are established.Neil has worked extensively with people with heart failure and type II diabetes. Neil has also completed several meta-analyses of the various benefits of exercise training in patients with chronic disease such as heart failure and renal failure. It is hoped that a rehabilitation clinic will be developed at UNE so the local community can access the benefits of regular physical exercise. Exercise science, Patho-physiology and Exercise therapy for the management of chronic disease, Exercise physiology, exercise testing, exercise prescription for disease populations.